Abdul-Hakim Qadri wrote, ‘The pen and the tongue of Ahmad Raza was safe from all kinds of slips and errors in spite of it being known that an ‘Alim always falls into some kind of error. However he did commit even a single simple mistake. 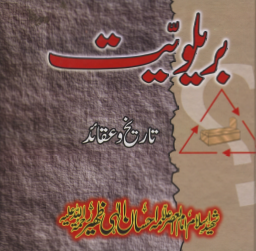 The author wrote in ‘Anwar Raza’, Allah had purified his pen and tongue from all mistakes. (Gauthe: (One who redresses another’s grievances, one who comes to someone’s help and aid). Like a pen is in the hand of a writer, and Gauthe Azam was in the hand of the Messenger of Allaah (صلى الله عليه وسلم) like a pen is in the hands of a writer and the Messenger of Allah (صلى الله عليه وسلم) himself would not say anything other than revelation. ‘Allah’s pleasure lies with the Prophet’s pleasure and the Prophet’s pleasure lies with the pleasure of Reza (Ahmed Reza Khan al-Barelvi). Exaggerating causes the grip of intellect to loosen. 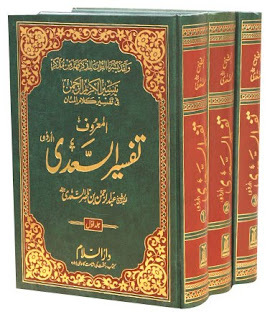 One of the Bareilawis writers enthused, ‘One day at the blessed age of just three and a half (he) was present near a Masjid and a person dresses as an Arab came by and spoke to him in Arabic. He replied in fluent Arabic and after that the man dressed as an Arab was never seen again. Another said, ‘One day the teacher said, ‘O Ahmad! Are you a human or Jinn? It takes me time to teach you but it takes no time for you to learn’. At the age of 10, his father who also used to teach him said, ‘you don’t learn from me but you teach me’. He (Ahmad Reza Khan founder of the Brelwi sect) used to narrate the Shia traditions and circulated them among the Sunni’s, here we will mention a few. He produced the same chain which coincides with that of the Shia Imams! 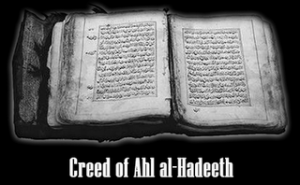 Question: Who was Muhammad bin Abdul Wahhaab and why are the Ahlul-Hadeeth attributed to him? Answer: Many people ask this question and I think the people should understand this properly. Muhammad bin Abdul Wahhaab bin Suliemaan at-Tameemee was born in the area of Najd in a place called Uyainah in the year 1115H and he died in 1206H in a place called Dar’iyyah which is near Riyaadh. During his time he saw Shirk and innovations widespread so he started to advise the people and called them according to the Book of Allaah and the Sunnah of the Messenger of Allaah (Sallalahu Alayhee Was-Sallam). However as ignorant people just have enmity and hatred without any reason these people had the same. So instead of accepting the call of Muhammad bin Abdul Wahhaab which was based upon the Qur’aan and the Sunnah of the Messenger (Sallalahu Alayhee Was-Sallam), which included the prohibition and the impermissibility of worshipping others besides Allaah or the permissibility of supplicating to others, they totally opposed him. So Muhammad bin Sa’ood and his tribe helped the Shaikh and just in a short amount of time his dawah and methodology spread and became widespread. People began to follow the straight path, they refrained from grave worship and connected themselves with the tawheed of Allaah. However a powerful government (Turks-Ottomans) that harboured and propagated shirk, attacked Muhammad bin Sa’ood and Muhammad bin Abdul Wahhaab and his tribe and defeated them. So they migrated to Kuwait where they sought refuge. This incident occurred at the end of the Eighteenth century. On one hand the turks empire began to weaken and crumble and on the other hand this exiled tribe continued to strive and struggle to regain their land. The father of Shaah Fahd and Shaah Faisal, Abdul Azeez bin Abdur Rahmaan Aal-Sa’ood in 1902 with 40 people attacked the castle in Riyaadh in the night. They captured the ruler of Aal Zasheed and other people. After this Abdul Azeez Aal Sa’ood began to capture other areas. The Turkish government had become hollow and weak. Due to shirk and innovations these people had lost the power of Eemaan and other aspects of their condition had surpassed and worsened than the disbelievers. On the inside they had began to build secular thoughts which were eventually officially established in 1924ce by Ataa-Turk by finishing the Uthmaanee Khilaafah. Restrictions were put on learning the Arabic language and many rulings and laws were imposed that were such to expel the Turk’s from Islaam. On the other hand Abdul Azeez Abdur-Rahmaan Aal Sa’ood after Najd, captured Hijaaz, Ta’if, al-Bahaa, Abhaa, Ahsaa, Damaam the borders of Sham and A’raaq, Dauqah al-Jizl and in 1932ce he laid the foundations of the Kingdom of Saudia Arabia, which is also present to this day. It is a total of 41 provinces and much larger in area than Paakistaan. Since Abdul Azeez Aal Sa’ood had grown up in a house of righteousness and those who promoted and propagated tawheed, he therefore hated shirk and innovations. So as he would capture any land he would establish the sharee’ah. Alongside this he would destroy the tombs erected over graves to the extent that all the Arab peninsula had been ridden and purified of Shirk. All praise be to Allaah we still do not see anything like these graves and tombs there to this day. So the establishment of Islamic law and the prohibition of shirk was in reality the call of Muhammad bin Abdul Wahhaab. Thereafter some opposers started to term and call this, based upon the teachings of the British, “The Wahhaabee Movement” and they called everyone who was a Salafee and adopted the Qur’aan and the Sunnah, a person who disrespected the Messenger and a wahaabee and other such names. Whereas those who say and utter these names, then they themselves in their actions were under the influence and affect of the jews and the christian’s. This was a brief description of the call of Muhammad bin Abdul Wahhaab and its success. Then as far as the Ahlul-Hadeeth are concerned, why are they attributed the Shaikh? Then this is the ignorance of the people as the Ahlul-Hadeeth do not accept anyone to be their leader, representative or guide. Also the fact that the name of the Shaikh was Muhammad and if some one wants to attribute someone to him then they should call them Muhammadee. Wahaabee is from the name of Allaah, al-Wahhaab, so when these people deliberately call some one Wahaabee then in reality they are saying he is a person of Allaah, which is a title and attribution of respect and honour, not one of disrespect. When the British came to India they thoroughly investigated the affair of the people there and they came to the conclusion that if any group of people hate and have enmity towards the jews and christians then it is the Ahlul-Hadeeth. So in light of this they thought lets make the general public and these religion selling Mullahs, oppose this group upon the truth and they told them such people that those who believe in Allaah are called ‘Wahaabee’s’. So these people sold their religion and faith and strenuously fulfilled the duties and orders of their masters to the extent that these people banned this saved sect from entering the Masjids. However the people know the reality now and the same people are getting beaten by their masters. Clear your minds on this point that if the Ahlul-Hadeeth do not do taqleed of Imaam Abu Haneefah, Imaam Maalik, Imaam Ahmad bin Hanbal and Imaam shaafi’ee, then how can they do taqleed of Muhammad bin Abdul Wahhaab. However it is a totally separate issue that wherever the issue of the Book and Sunnah is found then it will be the issue adopted by the Ahlul-Hadeeth. The people who establish Islaam and practice it in every time and era are the brothers of the Ahlul-Hadeeth. So on this basis the dawah of Muhammad bin Abdul Wahhaab and the dawah of the Ahlul-Hadeeth is one and the same and that is the Book and the Sunnah. The basis of dawah for both of them is that it is impermissible to associate anything in worship with Allaah and nor is it permissible to ask anything other than Allaah for help and assistance. The dawah and methodology of the Ahlul-Hadeeth has been around from the time when the Messenger of Allaah (Sallalahu Alayhee Was-Sallam) began his call to the oneness of Allaah and Muhammad bin Abdul Wahhaab was only 2 centuries before us. Today the inheritors of this dawah are the Ahlul-Hadeeth. As you well know the example that pure milk does not contain any water and so therefore nor do we add anything into the religion. Now the question arises why do we call ourselves Ahlul-Hadeeth? What is the meaning of calling ourselves Ahlul-Hadeeth? Whereas as people have started to name and attribute themselves to people from the Ummah, so then we attributed ourselves to the Messenger of Allaah (Sallalahu Alayhee Was-Sallam). Some said “We are hanafee’s.” due to Imaam Abu Haneefah, some said, “We are Shaafi’ee’s” due to Muhammad bin Idrees ash-shaafi’ee. some said, “We are bareilwi’s.” because they loved the city of Bareily in India. But we said, “We are Ahlul-Hadeeth” because we attributes our selves to Muhammad (Sallalahu Alayhee Was-Sallam). Now you also must know what Hadeeth is. So if you do not deny then why do you attribute yourselves to other people and what does calling yourself bareliwee, deobandee. Shaafi’ee and maalikee mean. In terminology the statements of the Messenger of Allaah are the Ahadeeth and the speech of Allaah is the Qur’aan. So therefore we have attributed ourselves to the Qur’aan and Hadeeth and call ourselves the Ahlul-Hadeeth and we are happy to do so, all praise be to Allaah. We have never attributed ourselves to any village nor to any other people. May Allaah grant this methodology strength and protect and preserve it. Ameen.